At Redbooth we recently started using Scrum to build cool stuff distraction-free. It helps us have more visibility on our progress, be more productive, and have fun with our team. With Scrum, each team has different responsibilities within the product gand can really own their decisions. Although we only started using Scrum a few months ago, we have always been agile. When we started implementing Scrum, we didn’t want to just blindly follow the rules – that’s just not who we are! We really wanted to make it our own. And one of the ways for us to do that was to insert the unique sense of humor that we all share (especially once you’ve worked here long enough) and our specific design sensibility. We designed lighthearted posters illustrating key Scrum roles — teams, product owner, Scrum master — and hung them up in our Barcelona and Silicon Valley offices to help us understand Scrum processes and to serve as a reminder. We also equipped our meeting rooms with high-tech cameras and microphones similar to those in futuristic movies (well, almost). Making video conferencing even better really helped to ease communication with our multiple offices. And even though our Spanish and American cultures are different, we developed an amalgam of both — including quite a few company-wide inside jokes — to make communication a lot easier. One of the most important topics where we need communication to be crystal clear is in estimating the size and difficulty of tasks. In Scrum methodology, there are a variety of ways to do this. In the past, we used T-shirt sizes: small, medium, large. But we were ready to take our estimation process to the next level. We’re not bluffing when we say that “Planning Poker” is our new favorite game — or at least our new favorite technique for estimating project scope. Planning Poker is a technique in Scrum that promotes estimation of difficulty of a task as a team. We liked the sound of that. Each number represents the difficulty of the task that is being estimated. There are also some other cards, like “Infinity” and “?” for things that are harder to estimate. 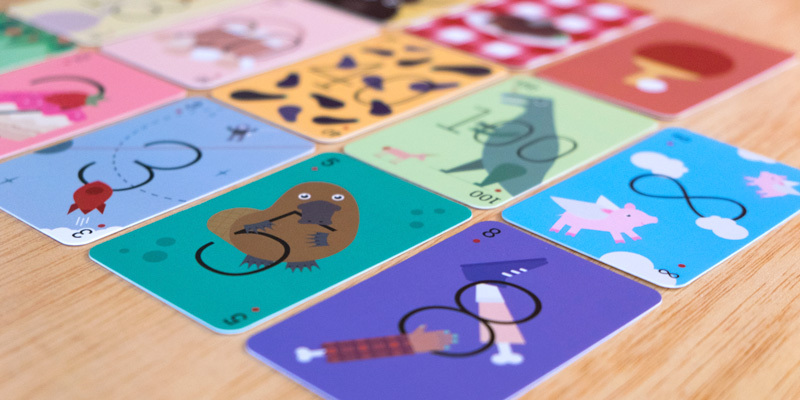 It might seem weird that we skipped some numbers, but that’s just how Planning Poker works. It trains you to compare one task to the other tasks you’ve done before, without spending too much time trying to get an exact estimate of the time it will take. We wanted to make it easier for the entire team to have the same understanding of what the different numbers would mean. And we wanted to infuse our sense of Redbooth personality into the new process. So we took some of our favorite company jokes and idioms and used them to create and personalize our Planning Poker cards. Each card in our personalized deck has either an idiom or a joke attached to it. In addition to the classic Planning Poker deck, we also added a few special cards that are close to our hearts. We had fun trying to match the number to the idiom we chose for it. 1 – Low-hanging fruit. That’s when a task is so easy, it’s practically done for you. 2 – Piece of cake. It’s not only because cakes are delicious. That’s also because the task is still pretty easy if you give it two points. 3 – It ain’t rocket science. It may not be as easy as eating cake, but it’s still not any kind of science. Just magic. 5 – Ornitorrinco. Ornitorrinco means “platypus” in Spanish and rhymes with cinco (“five” in Spanish). Plus, we couldn’t come up with any idiom for this number. 8 – An arm and a leg. This is when a task starts to get too big for one person to handle. 13 – Just squeaking by. One more point and this task is too big and needs to be broken down into smaller ones. 20 – Don’t put all your eggs in one basket. Seriously, start breaking this task down. 100 – Monster task. See how scared that unicorn is? That’s because it’s too big for him to handle. Infinity – When pigs fly. Never, right? Although, flying pigs seems like a cool thing to witness. Question mark – Here be dragons. This is a task with high risk that we are not comfortable estimating yet. Ping Pong break. Most Planning Poker decks include a “coffee cup” card to say “we need to take a short break” — except at Redbooth’s Barcelona office, we’re much more likely to take that break at the ping pong table! Brownie. Brownie is a literal translation from the word marrón in Spanish. The entire phase is “Comerse un marrón.” This is used when you’re stuck with an unpleasant or difficult task to do that no one else wants. Sound familiar? This concept is further explained in this post by Scott Hanselman. Want to print your own deck? We’ve made these cards available to download for free from GitHub under a Creative Commons license here. These cards have been a lot of fun to use in planning meetings and they feel unique and personal to us. Even though what matters the most is the things we build, it doesn’t mean the process can’t be a lot of fun too! Interested in building great software efficiently and collaboratively? Polina is an Interaction Designer at Redbooth. She comes from a graphic design background and embraces the new and emerging ways that people can interact with each other through a screen. She's also a photographer, illustrator, and lover of DIY. Before working at Redbooth she led a design team at a startup and gave talks about design, empathy, and teamwork.